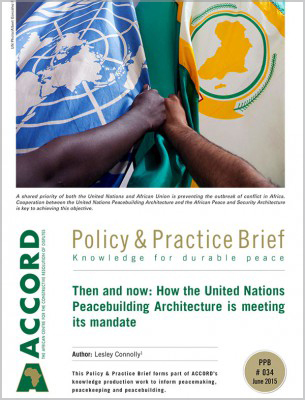 Following several decades during which violent civil conflict was common in African countries, the period from 1990 onwards was marked by a spreading and deepening of adherence to democratic principles. Nonetheless, many African countries still experience political instability and civil unrest. This raises the question of why these countries have not succeeded in resolving conflict in a sustainable manner. Drawing on economic ideas about contracts and institutions, this paper outlines a conceptual framework for thinking about the role of constitutional rules in achieving political stability. It also elucidates a critical requirement for sustainable democratic systems, namely that constitutional rules must become self-sustaining to safeguard such systems and to avoid relapses into violent civil conflict. The experiences of selected African countries are presented as brief case studies that illustrate the relevance of the conceptual framework and the notion of self-enforcing constitutional rules. Violent conflict has harrowing societal effects. Wars result in loss of life and leave a legacy of disability due to injury and disease. They create economic deprivation and traumatise people, and have regional effects in terms of disease and displacement (Hoeffler 2008:7–10; 12–20). Violent civil conflict has been common on the African continent for several decades. Nearly 20 African countries have experienced at least one period of civil war between 1960 and 2000, and the proportion of country years since 1950 that have been marked by civil war is one in twelve in Africa compared with one in 20 in the rest of the world (Elbadawi and Sambanis 2000:244; Besley and Reynal-Querol 2012:2). As pointed out by Straus (2012), among others, the prevalence of civil war has tapered off in Africa since the turn of the century. In part, this trend has reflected a discernible shift from large-scale conflicts between well-structured armies aimed at securing control of states to smaller-scale conflicts involving factionalised insurgents that lack the capacity to capture capital cities or to hold large swathes of territory. Attempts to identify the causes of civil war in Africa by means of statistical techniques have linked the probability of experiencing civil conflict to factors such as greed (e.g. the availability of state resources and lucrative natural-resource rents), grievances (e.g. suppression of the political rights of a population or parts thereof and high levels of poverty), and the financial and military feasibility of rebellion (Collier et al. 2009:2–5). 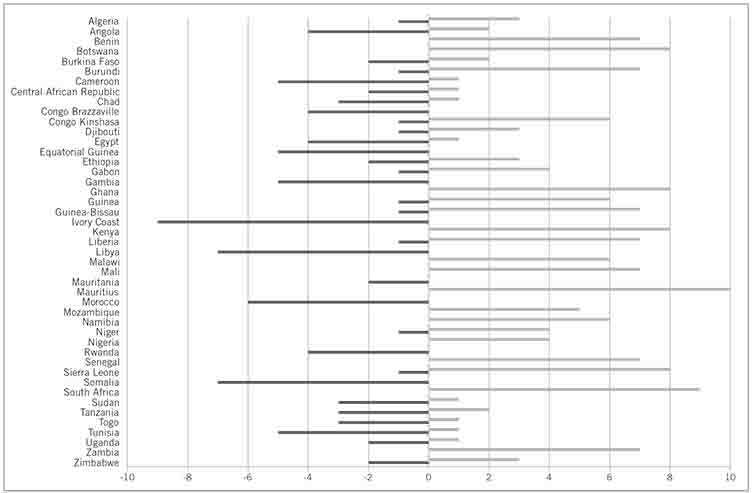 Other significant factors in statistical analyses of the causes of civil war in Africa include a history of violent conflict even before the colonial era, low levels of trust among the population, a weak sense of national identity and a strong sense of ethnic identity, as well as the absence of strong democratic institutions (cf. Besley and Reynal-Querol 2012:20; Collier and Hoeffler 2002:25; Elbadawi and Sambanis 2000:244). The statistical link between the likelihood of civil war and the absence of strong democratic institutions suggests that the establishment of such institutions might reduce the incidence of violent civil conflict in Africa1 While not proving a causal relationship, it is striking that the tapering off in civil conflict discussed by Straus (2012) coincided with a period of growing adherence to democratic principles in African countries. According to Diamond (2008:139–141), elections have become increasingly regular, frequent and contested from 1990 onwards, and the number of African countries classified as democracies by Freedom House jumped from three in 1990 to 24 in 2008. Figure 1 (on p12), which shows the Polity IV democracy scores of African countries in 1990 and 2010 (positive values indicating democratic systems and negative ones autocracies), confirms this increase in the degree of adherence to democratic principles.2 Several other studies (e.g. Lynch and Crawford 2011; Posner and Young 2007; Radelet 2010) also discuss aspects of this trend. 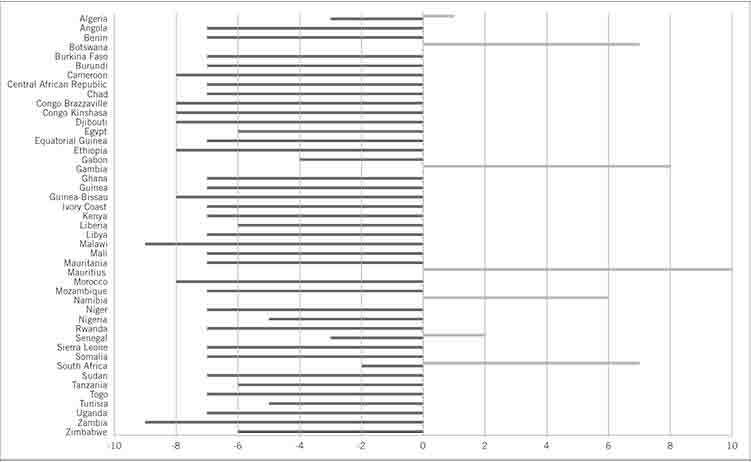 Posner and Young (2007:131–135), for example, note the drop in the number of what Prempeh (2008) labelled ‘untamed presidents’ of nominally democratic African states. Several powerful leaders have had to step down after unsuccessful efforts to change or ignore constitutional term-limit provisions. … increasingly illegitimate, but ongoing military intervention; regular elections and occasional transfers of power, but realities of democratic rollback and hybrid regimes; democratic institutionalization, but ongoing presidentialism and endemic corruption; the institutionalization of political parties, but widespread ethnic voting and the rise of an exclusionary (and often violent) politics of belonging; increasingly dense civil societies, but local realities of incivility, violence and insecurity; new political freedoms and economic growth, but extensive political controls and uneven development; and the donor community’s mixed commitment to, and at times perverse impact on, democracy. This paper discusses the long-run implications for civil conflict in Africa of this partial widening and deepening of democracy. Drawing on economic ideas about contracts and institutions, it outlines a conceptual framework for thinking about the role of constitutional rules and applies this framework to identify a critical requirement for sustainable democratic systems that avoid violent civil conflict. This requirement is that constitutional rules must become self-sustaining in order to safeguard democratic systems. 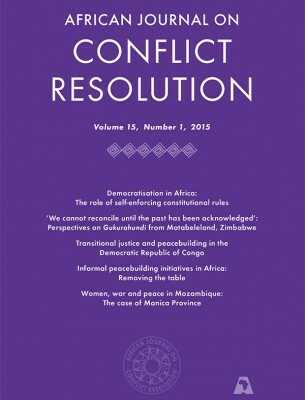 The paper also argues that certain conditions must be complied with to achieve self-enforcing constitutional rules, and uses the experiences of several African countries to illustrate the relevance of the conceptual framework and the importance of these conditions for avoiding recurrent civil wars. Some economic theories of political institutions model constitutions as contracts that regulate the relationship between governments and their constituents (for an early statement of this view, see Buchanan and Tullock 1962). According to this approach, a constitution indicates the rights and duties of the members of polities in the same way that a contract stipulates the rights and responsibilities of the parties involved in a transaction. Hardin (1989:101–102), among others, emphasises the inadequacy of this view by identifying three important differences between political constitutions and commercial contracts. First, while the aim of contracts usually is to resolve individual prisoners’ dilemma situations, political constitutions serve primarily to regulate longer-term patterns of coordination within polities. Second, there is markedly less agreement behind a constitution than is the case with a typical contract – as Hardin (1989:101) puts it: ‘In practice, acquiescence is more important than agreement for the working of a constitution, while agreement is crucial if the obligations under a contract are to make sense’. Third, business contracts usually include rights to third-party enforcement by the state in the event of non-performance. By contrast, the state is a major player as well as the holder of a legal monopoly on the use of violence in the domains governed by constitutional rules. This makes credible commitments to the enforcement of constitutional rights difficult, if not impossible. Nonetheless, there are parallels that make it possible to use theoretical ideas about contracts to explain particular aspects of the roles of constitutions. One example of this is the work of Hart and Moore (2008), who model contracts as reference points that determine parties’ entitlements. In their model, the degrees to which parties comply with contracts are determined by their comparisons of their actual gains from contractual relationships and the gains to which they feel entitled. In the event that a party is dissatisfied with the outcome of such a relationship, he or she neglects to fulfil some or all the terms of the contract. Such a response, which Hart and Moore (2008:3) label ‘shading’, causes a loss in welfare. In principle, such losses can be avoided by writing very detailed contracts that specify outcomes precisely and, hence, leave little room for subsequent disagreements about distributions of costs and benefits. Such contracts should prevent shading by ensuring that contracting parties receive their entitlements. In practice, though, the reality that transacting parties cannot anticipate all future contingencies makes it impossible to write such complete contracts. Furthermore, detailed contracts tend to be more rigid and complex to amend when circumstances change. Accordingly, parties tend to write incomplete contracts and rely on subsequent renegotiation as a mechanism for handling shocks. Yet such incompleteness means that the dangers of dissatisfaction with outcomes and consequent shading on performance are ever-present (Hart and Moore 2008; Fehr et al. 2011). Broad features of Hart and Moore’s (2008) theory can be used to explain the outbreak of civil war in the following way. Assume that the provisions of constitutions function as reference points that provide feelings of entitlement to groups in societies. The adherence of the groups to such constitutional provisions depends on the degrees to which their feelings of entitlement are satisfied. If they feel deprived of these entitlements, groups will apply de facto political power to amend the outcomes or the constitutional rules. De facto political power is held by those who have sufficient economic resources to organise peaceful or violent action against the de jure political leaders and who have overcome the problem of obtaining active participation by groups of people who as individuals would be tempted to ‘free ride’ on the efforts of others (Acemoglu et al. 2005:391). Various mechanisms of de facto political power can be applied, ranging from elections and referendums to violent skirmishes and other unconstitutional means. Generally, one would expect groups to dispel incongruities in a peaceful manner. Violence would receive consideration in some scenarios, for example, when significant benefits will result from the permanent removal of opposition groups (Skaperdas 2008:33). Polities face many possible challenges, some of which may be linked to the factors regarded as the causes of civil wars in Africa (for example, high levels of poverty and inequality, the mismanagement of rich deposits of natural resources, and ethno-linguistic fragmentation). Hence, constitutions tend to be more incomplete than typical commercial contracts are (Dixit 1998:20). The incompleteness of constitutions as devices for structuring political activity is compounded by the enforcement problem alluded to earlier in this section. Furthermore, constitutions are inflexible by design, and the scope for renegotiation of constitutional rules is truncated deliberately because of the difficulty of choosing new rules and the importance of stable political institutions. This combination of incompleteness and inflexibility means that the likelihood of dissatisfaction with outcomes and consequent shading on performance is high. In essence, constitutional rules are ‘parchment barriers’ (Madison 1987:309) that cannot protect democratic systems from violent assaults by those with de jure political power and, in some cases, those with de facto power as well. This brings us to the argument that democratic constitutional rules can survive and flourish in Africa (and elsewhere) only by becoming self-enforcing. … a constitution does not depend for its enforcement on external sanctions or bootstrapping commitments founded in nothing but supposed or hypothetical agreement. Establishing a constitution is a massive act of coordination that creates a convention that depends for its maintenance on its self-generating incentives and expectations. As was pointed out in Section 2, the incompleteness and non-enforceability of constitutional provisions mean that the effectiveness of such laws depends on the degree to which they become self-enforcing. According to Ginsburg (2012:95), a constitution is self-enforcing when it is in the interest of all the powerful factions in the polity to abide by its provisions. In such cases, all members of society perceive it to be in their interest to live with the constitutional arrangements. Not everyone may find the arrangements optimal, but the pursuit of change may not be worthwhile because of its costliness (one aspect of which is the cost of persuading a sufficient portion of the members of the society to support change). This does not imply that self-enforcing constitutions are by nature inflexible. Ginsburg (2011:118, 120–122) shows that the most enduring constitutions – including self-enforcing ones such as those of India, Sweden and the United States – occupy an intermediate position along the spectrum from extreme malleability to extreme rigidity. 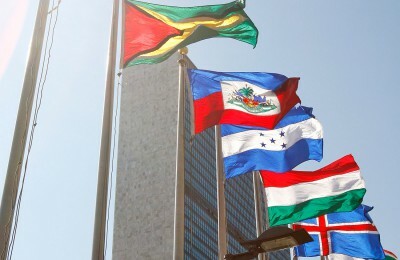 Countries that rewrite their constitutions frequently (such as the Dominican Republic and Haiti) often fail to establish a stable system of political rules (Ginsburg 2011:123). The apparent benefits of a degree of flexibility reflect the reality that a constitution should incorporate the needs of a wide variety of citizens. Hence, it should leave room for inputs emanating from a wider pool of insights and experience than would be available to a particular group of constitution drafters. Weingast’s (2005) ideas about self-enforcing constitutions are helpful for interpreting the ongoing process of democratisation on the African continent. According to Weingast (2005:89), constitutions are self-enforcing when ‘… political officials have incentives to honour constitutional provisions’. Such incentives exist where the citizens ‘have solved their differences over the content of rights and over the mechanisms of public choice’, which allows them to act in a coordinated manner to resist attempts by political officials to threaten their rights (Weingast 2005:94). Weingast (2005) does not discuss the nature of such coordinated action against political officials; presumably, it could be any exercise of what Acemoglu et al. (2005:391) label ‘de facto political power’ ranging from non-violent struggle (cf. Sharp 1973) to violent protest. Using a coordination game involving a sovereign (who determines the decisions of the government) and citizens, Weingast (2005:91–99) illustrates the difficulty of attaining united action by citizens when governments threaten fundamental constitutional rules. A repeated game scenario yields a self-enforcing liberty equilibrium, in terms of which citizens agree to act jointly to depose the sovereign in the event of a transgression against them. This forces the sovereign to honour their rights. Importantly, such action does not have to be rooted in altruism; it could also be based on the recognition by citizens that cooperation would enable them to maximise their individual utilities in the long run. Weingast (2005:95, 98) emphasises that the self-enforcing liberty equilibrium is not a natural outcome in the illustrative game or in the real world. 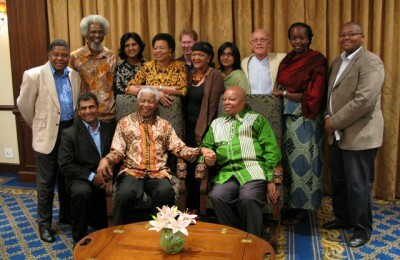 In practice, its attainment requires the deliberate creation of pacts among major groups in society. He identifies four conditions for successful pacts of this nature. First, such pacts should establish sets of citizen rights and governing rules for public decision-making that would also constrain the powers of states. Second, all parties should believe that they are made better off by signing such pacts. Third, all parties should be willing to change their behaviour if the other parties do so as well. Fourth, all parties should be willing to defend such pacts against transgressions by political leaders. Periods of crisis – such as wars – sometimes provide the impetus for moving societies from asymmetric equilibria to self-enforcing liberty equilibria (Weingast 2005:96–98). Hence, African countries that have recently emerged from civil war may have windows of opportunity for designing self-enforcing constitutional rules. Walter (1999), however, points to a number of factors that could hamper the creation of new political institutions in such environments. Former militants often require credible guarantees regarding their future security as preconditions for accepting negotiated settlements, and resume hostilities when such guarantees are not forthcoming. In such cases, other states and international organisations can help to cement peace settlements by providing the required guarantees. In addition, it is often the case in the immediate aftermath of civil wars that government institutions are too weak to prevent grabs for power and that civil cultures lack the strength to serve as secondary barriers to misconduct. In fact, war-weary populations sometimes prefer peace, order and economic advancement to vibrant democratic institutions. Section 1 of this paper showed that a growing number of African countries are adhering to democratic principles. Others remain autocracies, however, while several find themselves in what Diamond (2008:139) describes as a ‘grey zone between democracy and pseudodemocracy’. Weingast’s (2005) ideas constitute a useful conceptual framework for studying democratisation in Africa: failure to satisfy the four conditions for pacts leading to self-enforcing constitutions seems to be a key reason why the process has stalled in a number of African countries, including some in which civil conflict has resumed after democratic institutions were established. Section 4 presents five case studies (Côte d’Ivoire, the Central African Republic, Mozambique, Kenya and Botswana) that illustrate the relevance of these ideas. Among other things, these examples show how the absence of self-enforcing constitutions contributed to recurring conflict in Côte d’Ivoire and the Central African Republic and highlight the factors that have prevented some African countries from creating self-enforcing constitutions. After obtaining independence in 1960, Côte d’Ivoire was ruled for more than three decades by Félix Houphouët-Boigny. The constitution adopted at independence established an ‘imperial presidency’ that did not limit the power of the executive. To name but one example: a Supreme Court was created, but it lacked any executive power. Houphouët-Boigny was of the opinion that only the elite were skilled enough to take the country forward, and limited participation in government to those who served him unreservedly (Kimenyi and Mbaku 2011). The country experienced rapid economic growth under Houphouët-Boigny, and was regarded as an African success story in spite of the absence of multi-party elections (Corey-Boulet 2012:73). As pointed out by Bah (2012:3), however, Houphouët-Boigny’s failure to establish a democratic system of government led to a destructive power struggle after his death in 1993. Citizenship was a key underlying issue. In an attempt to retain political power, Houphouët-Boigny’s successor as president, Henri Konan Bédié, instituted the doctrine of Ivoirité. 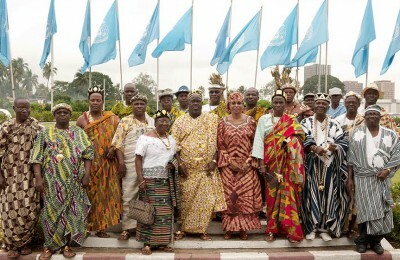 This doctrine perpetuated ethnic division by distinguishing between indigenous Ivorians and those of immigrant descent. It fuelled ethnic and nationalist sentiments and infiltrated other social spheres such as land tenure and employment policies (Bah 2010:602). The continued emphasis on ethnic differences prevented the formation of coalitions that could have opposed transgressions of the constitution by the government. The transgression of citizen rights by the government and the divisions it created within society clearly violated the first two of Weingast’s conditions for pacts leading to a self-enforcing equilibrium. These problems were exacerbated by the reality that the first post-independence constitution did not provide citizens with effective institutions (such as a judicial system independent from the state) for challenging transgressions of their rights by the government. Bédié implemented additional repressive measures prior to the elections in 2000. These included the widespread dismissal of civil servants from the northern regions of the country and their replacement by members of his own Baule group, as well as forced removal and disenfranchisement of the Burkinabé (Ivorians originating from neighbouring Burkina Faso) (Toungara 2001:67–68). These plans, however, were thwarted by a military coup carried out under the leadership of General Robert Gueï, who subsequently headed the junta known as the Comité National de Salut Public. 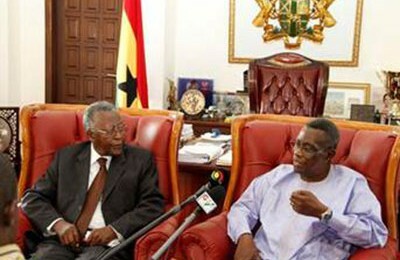 Gueï promised a constitutional referendum and free and fair elections, but eventually barred certain candidates from participating. These included Alassanne Ouattara, a descendent of Muslim rulers in Burkina Faso and the leader of the Rassemblement des Républicains (Toungara 2001:68–70). Gueï declared himself the victor despite losing the election, but had to flee after protests broke out. This paved the way for the only other strong candidate, Laurent Gbagbo, to assume the presidency in October 2000 (Bah 2010:603). In 2002, however, the country descended into civil war when rebel groups from the northern regions who supported Ouattara united under the leadership of Guillaume Soro to fight the political marginalisation of northerners and the Ivoirité policy more generally (Bah 2010:604). According to Corey-Boulet (2012:73), the underlying ethnic divide fuelled by Ivoirité was evident yet again during the conflict that erupted when Gbagbo did not accept defeat in the 2010 elections. His decision to cling to power (with the assistance of the Constitutional Council) exacerbated tensions and led to violent conflict (Cederman et al. 2013:391). In a clear example of parties not honouring the ‘constitutional pact’, supporters of Gbagbo attacked immigrants and northerners, as well as supporters of Ouattara (Corey-Boulet 2012:74). Lapidus (2014:778) confirms that the root cause of the conflict was ethnic discrimination via the implementation of Ivoirité. Although the majority of northerners are Muslim, the attacks targeted Muslim and non-Muslim immigrants. Gbagbo was arrested after a bloody and destructive conflict, and, at the time of writing, was awaiting trial by the International Criminal Court in The Hague. Evidently, ethnic grievances fuelled political protests and civil war in Côte d’Ivoire. In line with Weingast’s exposition, this prevented political participation by all parties and, hence, the attainment of a self-enforcing equilibrium. The recurring pattern of conflict in the case of the Central African Republic is another example of the effects of the non-establishment of a self-enforcing political equilibrium. It provides an example of a country that had its constitution changed as a result of a crisis (a possibility predicted by Weingast), but the complete lack of adherence to the law by the government rendered it incapable of securing peace. Having gained independence from France in 1960 soon after the death in a plane crash of its most popular and charismatic leader, Barthélémy Boganda, the Central African Republic has had a series of inept and, for the most part, repressive leaders (cf. Steele 2005a; 2005b). Successive constitutions have had little impact on the country’s politics, which have been dominated by its presidents, the former colonial master France (via foreign aid and several military interventions), the struggle for control over the country’s diamond wealth, the small elite in the capital Bangui, and the armed forces (Ghura and Mercereau 2004:11–13; Mehler 2005:128–129). This has prevented the emergence of effective constraints against abuses of power by political leaders, including united action by citizens when their rights are transgressed. When a pro-democracy movement became active in 1990, society was not unified enough to support the movement. President Kolingba denied a request from a group of citizens in 1990 for the convocation of a National Conference, and a number of opponents were imprisoned. Outside forces tried to support the movement, a prospect Walter (1999) could predict. Responding to pressure from France and other Western countries, Kolingba agreed in 1992 to hold multiparty elections (Steele 2005b). Claiming election irregularities allowed him to extend his reign, Kolingba eventually acceded to external pressure and instituted a Mixed Electoral Commission consisting of representatives from all political parties (US Department of State 1994). The elections took place in 1993 and a new constitution was approved the year thereafter. As was the case with earlier constitutions, the new constitution unfortunately had no influence on the practice of politics. Change was driven by pressure from outsiders and not by a unified society – a clear case of the non-satisfaction of Weingast’s condition that all parties should participate in the signing of ‘constitutional pacts’. In the second half of the 1990s, the army launched three mutinies against the elected government of President Ange-Félix Patassé, destruction of property was rife, and the country experienced heightened interethnic tension. During 2001, rebels launched a failed coup attempt by attacking strategic buildings in Bangui (cf. Glasius 2008:51–52). Militias loyal to former President André Kolingba launched attacks against residents in the suburbs of Bangui, which caused severe destruction of property and loss of life. Hence, parties were unable to formulate and uphold or defend successful pacts aimed at attaining a self-enforcing equilibrium. The 1995 constitution was suspended after the overthrow of President Patassé in 2003. A new constitution, which was approved by 87.2% of the electorate, came into force in 2004. This provided for a once-renewable presidential term of five years (Bradshaw and Fandos-Rius 2013:271). However, General Yangouvonda, who won the presidential election in 2011 by capturing 64.37 % of the votes against the 21.4 % of Patassé (Bradshaw and Fandos-Rius 2013:259) did not respect the principles of this constitution. He did not uphold the 2008 peace agreement with rebels, which provided for their demobilisation and integration into a united force. This led to heightened tension in the country and, in December 2012, rebel movements took control of the northern and central parts of the country. Peace talks were held in January 2013, and agreement was reached about a coalition government that would have included the rebel leader. The coalition collapsed in March, however, and Yangouvonda fled the country to escape the advancing rebels. Rebel leader Michel Djotodia assumed the presidency in March 2013. The African Union, the European Union and the International Organisation of Francophone Countries all declared this development an unconstitutional regime change, despite the well-publicised autocratic practices of the Yangouvonda regime (Kotzé 2013:8). The Central African Republic recently experienced an increase in violence between Muslim rebels and Christians (Muna 2014:15). 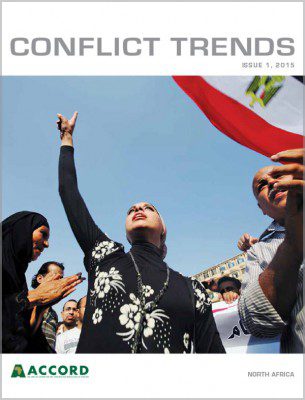 According to a commission of inquiry of the United Nations (Muna 2014), the conflict dynamics and the involvement of various actors make it difficult to foresee a speedy resolution of the conflict. A preliminary report of the commission, which was submitted to the United Nations in June 2014, found that ample evidence exists to prove that individuals from both sides of the conflict have perpetrated serious breaches of international humanitarian law and crimes against humanity, as well as war crimes’ (Muna 2014:26). Evidently, the constitution had failed to protect the citizens of the CAR. This confirms the very limited value of such documents when governments and citizens refuse to adhere to their stipulations. Mozambique and Kenya are examples of African countries that show signs of progress towards achieving self-enforcing constitutions. Mozambique gained independence from Portuguese colonialism in 1975, but FRELIMO (Frente de Libertação de Moçambique, the main liberation movement) quickly established a one-party state that ruled until 1990. Apart from dealing with internal divisions and interregional tensions, FRELIMO also faced the emergence of RENAMO (Mozambican National Resistance), a liberation movement stemming from political instability in neighbouring countries (particularly the then Rhodesia). RENAMO was made up of disgruntled Mozambicans (including ex-FRELIMO fighters) who received external support to challenge the incumbent government (Weinstein 2001:147–148). Towards the end of this period, political and economic reforms were introduced, which resulted in a movement towards democratic rule. External assistance (particularly from the United Nations) played a prominent role in the transformation process (Weinstein 2001:148–149). At independence there was a single-party authoritarian regime that made little distinction between party structures and the functioning of the state. The 1975 Constitution that was developed carried the approval of FRELIMO’s Central Committee (Luiz et al. 2013:684). In the late eighties Joaquim Chissano became the new leader of FRELIMO and adopted more democratic principles. He suggested several constitutional revisions, including some that made the state more independent from the party (Luiz et al. 2013:684). The 1990 Constitution allowed all citizens to participate in political processes (Pereira 2009:10) – one of the important requirements for a self-enforcing political equilibrium identified by Weingast (2005). Giving effect to this principle, steps were taken in 1991 to enhance the functioning of political parties. Concerns, however, have been raised about the stability of Mozambique’s democracy. According to Manning (2010:151), the 2009 general elections were the least democratic yet. The adoption of new regulations violated the principle of universal participation by inhibiting small opposition parties from contesting elections. In addition, Manning (2010:152–160) lists FRELIMO’s use of state resources and the lack of appropriate checks on its power as some of the dangers facing the fragile democracy. It seems as though not enough pacts were formed to act against transgressions by the ruling government, which means that Weingast’s fourth condition for the emergence of a self-enforcing constitution remained unfulfilled. Manning (2010:160) states that ‘The ruling party faces few internal or external checks on its power. FRELIMO now controls 75 percent of the legislature, 99 percent of municipal assemblies and mayoral positions, and all provincial assemblies’. ‘Recent instability, particularly on the political front, has sparked concern about a flare up of civil war’ (Dzinesa and Motsamai 2013:1). The next few years may well reveal whether citizens have formed sufficiently strong pacts to constrain the powers of the state. In this regard, Dzinesa and Motsamai (2013:3) argue that civil society plays a critical role in Mozambique, especially during election periods. Compared with some other African states, Kenya has managed a fair degree of stability since independence (Hornsby 2012:1). This was the case despite changes in the political system and crises in some neighbouring countries.3 An accompanying benefit to Kenyans has been increased freedom, especially after the re-emergence of multiparty democracy. In 1997 the country revised certain oppressive laws (which limited free speech and assembly) dating from the colonial period, as part of a cross-party parliamentary reform initiative. This is an example of better citizen rights, as captured by the first condition for facts leading to self-enforcing constitutions identified by Weingast. The democratic and open elections that took place in Kenya in 2002, when Mwai Kibaki was elected president (Jennings 2013:640), suggested that Weingast’s second condition (a widespread belief that participation in societal pacts are beneficial to all) was also satisfied at the time. 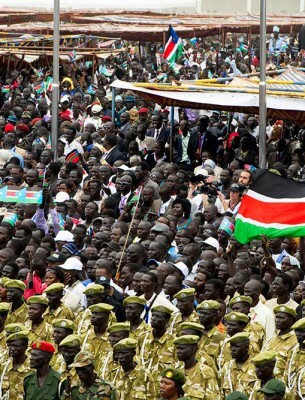 Kenya provides an example of how society can act as a countervailing force to government. The 2007 presidential elections were heavily criticised by international observers, who suggested that they did not meet regional or international standards and were beneficial to the incumbent president Mwai Kibaki (Jennings 2013:641). This resulted in significant unrest in the country, leading to the death of almost 1 000 people and the displacement of almost 500 000 (Jennings 2013:641). Yet the country was able to reach a diplomatic resolution that united the two rivals in a coalition government. This power-sharing arrangement was entrenched in the constitution. This is an example of parties that were willing to change their behaviour when others did likewise, i.e. accepting Weingast’s condition three. According to the agreement, Kibaki and Odinga agreed to share power. Eventually a new constitution was adopted in 2010 (Jennings 2013:641–642). Kenya is unfortunately also an example of a country with a strong interconnection between ethnicity and party allegiance (Broadberry and Gardner 2013:9). The result is that inter-party competition in elections is characterised as a competition between ethnic groups. The link in Kenya between ethnic violence and elections highlights the dangers of a divided society. In 2010 Kenyans voted for a new constitution in a national referendum. The referendum saw a 72 percent turnout, and the proportions of the electorate that voted for and against the new constitution amounted to 67 percent and 31 percent, respectively (Githinji and Holmquist 2011:2). The adoption of the new constitution marked the end of a protracted process. This process had lasted since 1982, when constitutional change transformed Kenya’s political system from the multi-party system adopted at independence to a de jure one-party state. Whereas most powers were controlled by the presidency under the 1982 constitution, the new constitution made politicians more accountable to the electorate. Githinji and Holmquist (2011:2), however, refute the claim that the Kenyan government is now more accountable: ‘For us accountability means the end of political class impunity for corruption and encouragement of political violence, as well as a concerted effort by the political class to respond to popular demands for a better material life by dampening inequality and poverty. Accountability has made little progress under the multi-party electoral frame of rule’. Time will tell whether the constitution will hold government accountable for its decisions and actions. The examples discussed above indicate that the constitutional arrangements adopted in the countries in question were incomplete. In these cases, the conditions for self-enforcing political equilibria were not satisfied. The fact that political stability still eludes these countries suggests that a self-enforcing equilibrium has not yet been achieved. The transition to a democratic system in Botswana was not altogether without problems. For example, at independence the pre-colonial chiefs lost most of their powers (Holm 1988:187). To counter discontent with such a move, a House of Chiefs, similar to the House of Lords in Britain, was created to provide them with a safe environment to discuss their ideas and give feedback on possible policy changes. The chiefs no longer had executive powers, but made good use of their power to express concerns or support for policy changes. This shows a willingness to change behaviour successfully to accommodate different parties in the political process, complying with Weingast’s condition three. Not all the chiefs were happy with this new arrangement and were active in voicing their discontent with the government. Their first loyalty was toward their village communities and not to the central government. If they were under the impression that a new policy would divide their community or be to their detriment, they did everything in their power to prevent it from being implemented (Holm 1988:199–200). These acts of resistance were not suppressed, and this shows how society can form a pact against government (Colclough and McCarthy 1980). 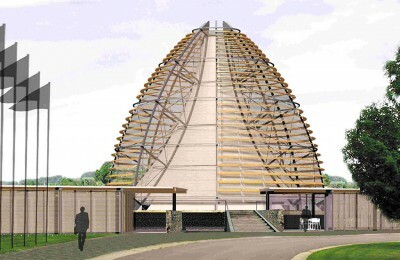 Chiefs were allowed to enter the democratic process in a more formal manner, by being eligible for a seat in Parliament. Due to the strict rules on this, including having to give up their statutory income, only one chief (Chief Bathoen) risked standing for Parliament. He succeeded, and even ousted the then vice-president, Quett Masire. Due to the high cost of entry (giving up their income as chiefs), only the best-educated and most capable chiefs, who knew they had a good chance of success in the elections, participated in the election process (Holm 1988:193). 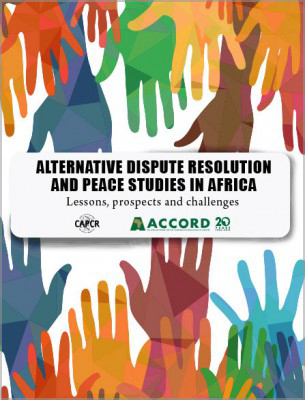 Following several decades during which violent civil conflict was common in African countries, the period from 1990 onwards has been marked by a notable spreading and deepening of adherence to democratic principles on the continent. This paper uses aspects of a theory of contracts proposed by Hart and Moore, and Weingast’s ideas about self-enforcing constitutions to comment on the likely long-run implications of this development for the incidence of civil conflict. It argues that democratisation should contribute to a reduction in the incidence of civil war in Africa, provided that the constitutional rules underpinning the new democratic systems become self-enforcing so that governments have incentives to adhere to these rules. The key requirement for self-enforcing constitutions is that citizens should solve their coordination problems in order to be able to act in unison whenever governments threaten fundamental constitutional rules. 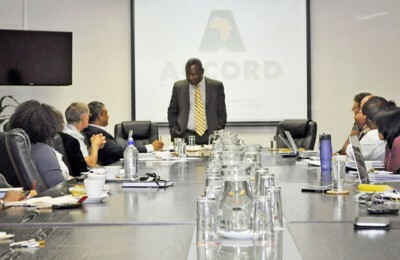 International organisations, such as the United Nations and the African Union, can contribute to the consolidation of the democratisation process in Africa by emphasising the importance of self-enforcing constitutions. In the final instance, however, external parties cannot create or sustain such institutions. In Africa (and elsewhere) the achievement of self-enforcing constitutions depends on the commitment to sustainable democracy of countries’ governments and citizens. Acemoglu, Daron, Simon Johnson and James Robinson 2005. Institutions as a fundamental cause of long-run growth. In: Aghion, Philip and Steven N. Durlauf eds. Handbook of economic growth. Volume 1A. Amsterdam, Elsevier. pp. 358–472. Bah, Abu B. 2010. Democracy and civil war. 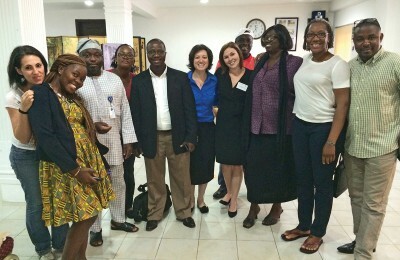 Citizenship and peacemaking in Côte d’Ivoire. African Affairs, 109 (437), pp. 597–615. Bah, Thierno Mouctar 2012. Addressing Côte d’Ivoire’s deeper crisis. Africa Security Brief No. 19. March. Washington, D.C., Africa Centre for Strategic Studies. Bates, Robert H., Steven A. Block, Ghada Fayad and Anke Hoeffler 2013. The new institutionalism and Africa. Journal of African Economies, 22 (4), pp. 499–522. Belmont, Katherine, Scott Mainwaring and Andrew Reynolds 2002. Introduction: Institutional design, conflict management, and democracy. In: Reynolds, Andrew ed. The architecture of democracy: Constitutional design, conflict management, and democracy. Oxford, Oxford University Press. Besley, Timothy and Marta Reynal-Querol 2012. The legacy of historical conflict: Evidence from Africa. STICERD Discussion Paper No. EOPP/2012/36. London, London School of Economics. Bradshaw, Richard and Juan Fandos-Rius 2013. Central African Republic. In: Africa South of the Sahara, 42nd ed. European Union, Europa Publications. pp. 255–260. Broadberry, Stephen and Leigh Gardner 2013. Africa’s growth prospects in a European mirror: A historical perspective. The CAGE-Chatham House Series, No. 5, February. Buchanan, James M. and Gordon Tullock 1962. The calculus of consent. Ann Arbor, University of Michigan Press. Cederman, Lars-Erik, Kristian Gleditsch and Simon Hug 2013. Elections and ethnic civil war. Comparative Political Studies, 46 (3), pp. 387–417. Cheru, Fantu 2012. Democracy and people power in Africa: Still searching for the ‘political kingdom’. Third World Quarterly, 33 (2), pp. 265–291. Colclough, Christopher and Steven McCarthy 1980. The political economy of Botswana. London, Oxford University Press. Collier, Paul and Anke Hoeffler 2002. On the incidence of civil war in Africa. Journal of Conflict Resolution, 46 (1), pp. 13–28. Collier, Paul, Anke Hoeffler and Dominic Rohner 2009. Beyond greed and grievance: Feasibility and civil war. Oxford Economic Papers, 61, pp. 1–27. Corey-Boulet, Robbie 2012. Ivory Coast: Victor’s justice. World Policy Journal, 29 (3), pp. 69–79. Diamond, Larry 2008. The rule of law versus the Big Man. Journal of Democracy, 19 (2), pp. 138–149. Dixit, Avinash 1998. The making of economic policy: A transaction cost politics approach. Cambridge, MIT Press. Dzinesa, Gwinyayi and Dimpho Motsamai 2013. Renamo’s war talk and Mozambique’s peace prospects. ISS Policy Brief No. 50. Pretoria, Institute for Security Studies. Elbadawi, Ibrahim and Nicolas Sambanis 2000. Why are there so many civil wars in Africa? Understanding and preventing violent conflict. Journal of African Economies, 9 (3), pp. 244–269. Fehr, Ernst, Oliver Hart and Christian Zehnder 2011. Contracts as reference points – experimental evidence. American Economic Review, 101 (2), pp. 493–525. Ghura, Dhaneshwar and BenoÈ‹t Mercereau 2004. Political instability and growth: The Central African Republic. IMF Working Paper No. WP/04/80. Washington, International Monetary Fund. Ginsburg, Tom 2011. Constitutional endurance. In: Ginsburg, Tom and Rosalind Dixon eds. Comparative Constitutional Law. Cheltenham, Edward Elgar. pp. 112–125. Ginsburg, Tom 2012. Comparative constitutional design. Cambridge, Cambridge University Press. Githinji, Mwangiwa and Frank Holmquist 2011. Transparency without accountability. Department of Economics Working Paper No. 2011–19. Amherst, University of Massachusetts. Glasius, Marlies 2008. The ICC, victims, and civil society in the Central African Republic. African Affairs, 108 (430), pp. 49–67. Gleditsch, Nils P., Peter Wallensteen, Mikael Eriksson, Margareta Sollenberg and Hí¥vard Strand 2002. Armed conflict 1946–2001: A new dataset. Journal of Peace Research, 39 (5), pp. 615–637. Good. Kenneth 1993. At the ends of the ladder: Radical inequalities in Botswana. Journal of Modern African Studies, 31, pp. 203–230. Good, Kenneth 1996. Towards popular participation in Botswana. Journal of Modern African Studies, 34, pp. 53–77. Good, Kenneth 1999. The state and extreme poverty in Botswana: The San and destitutes. Journal of Modern African Studies, 37, pp. 185–205. Hardin, Russell 1989. Why a constitution? In: Grofman, Bernard and Donald R. Wittman eds. The Federalist Papers and the new institutionalism. New York, Agathon Press. pp. 100–120. Hart, Oliver and John Moore 2008. Contracts as reference points. Quarterly Journal of Economics, 123 (1), pp. 1–48. Hoeffler, Anke 2008. 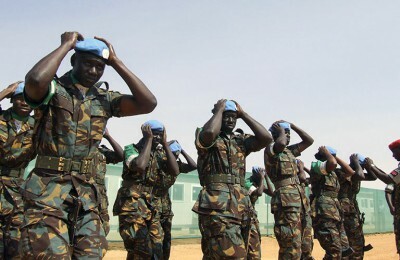 Dealing with the consequences of violent conflicts in Africa. Background paper for the African Development Bank Report. Holm, John D. 1988. Botswana: A paternalistic democracy. In: Diamond, Larry, Juan Linz and Seymour Martin Lipset eds. Democracy in developing countries (Africa). Volume 2. Boulder, Lynne Rienner Publishers. pp. 179–215. Hornsby, Charles 2012. Kenya: A history since independence. New York, I.B. Tauris & Co Ltd. Jennings, Michael 2013. Kenya. In: Africa South of the Sahara, 42nd ed. European Union, Europa Publications. pp. 639–644. Kimenyi, Mwangi and John Mbaku 2011.What next for the Ivory Coast? Brookings Opinion. April. Available from: <http://www.brookings.edu/research/opinions/2011/04/08-ivory-coast-kimenyi-mbaku> [Accessed June 2014]. Kotzé, Dirk 2013. Africa’s concept of ‘Unconstitutional Change of Government’ – How appropriate? 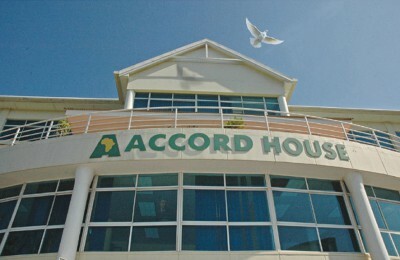 Umhlanga Rocks, South Africa, African Centre for the Constructive Resolution of Disputes (ACCORD). Lapidus, Ira M. 2014. A history of Islamic societies. Third Edition. Cambridge, Cambridge University Press. Lijphart, Arend 2004. Constitutional design for divided societies. Journal of Democracy, 15 (2), pp. 96–109. Luiz, John, Luis B. Pereira and Guilherme Oliveira 2013. Constructing institutional measures: Indicators of political and property rights in Mozambique, 1900–2005. Governance, 24 (4), pp. 677–692. Lynch, Gabrielle and Gordon Crawford 2011. Democratization in Africa 1990–2010: An assessment. Democratization, 18 (2), pp. 275–310. Madison, James 1987. The federalist papers no. 48. In: Madison, James, Alexander Hamilton and John Jay eds. The federalist papers. London, Penguin. pp. 308–312. Manning, Carrie 2010. Mozambique’s slide into one-party rule. Journal of Democracy, 21 (2), pp. 151–165. Marshall, Monty G. and Keith Jagger 2002. Polity IV project: Political regime characteristics and transitions, 1800–2002 (version p4v2002e). College Park, Center for International Development and Conflict Management, University of Maryland. Available from: <http://www.cidcm.umd.edu/inscr/polity/index.htm> [Accessed June 2014]. Mehler, Andreas 2005. The shaky foundations, adverse circumstances and limited achievements of democratic transition in the Central African Republic. In: Leonardo A. Villalí³n and Peter Von Doepp eds. The fate of Africa’s democratic experiments: Elites and institutions. Bloomington, Indiana University Press. pp. 126–152. Mgadla, Themba 1998. The Kgosi in a traditional Tswana setting. 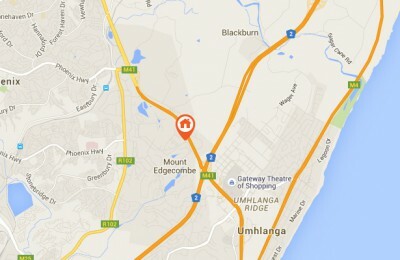 In: Edge, Wayne A. and Mogopodi Lekorwe eds. Botswana: Politics and society. Johannesburg, Van Schaik. pp. 3–10. Muna, Bernard A. 2014. Preliminary report by a commission of inquiry into the Central African Republic. 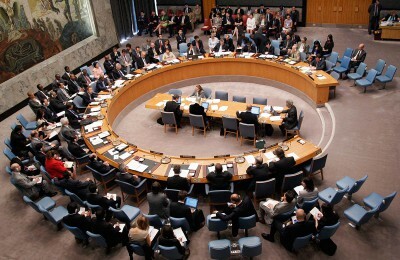 United Nations, Security Council. Report number S/2014/373. Nzelibe, Jide and John Yoo 2006. Rational war and constitutional design. Yale Law Journal, 115, pp. 2512–2541. Pereira, João C.G. 2009. The impact of democracy in Mozambique: Assessing political, social and economic developments since the dawn of democracy, Centre for Policy Studies Research Report No 118. Persson, Torsten and Guido Tabellini 2004. Constitutions and economic policy. Journal of Economic Perspectives, 18 (1), pp. 75–98. Posner, Daniel N. and Daniel J. Young 2007. The institutionalization of political power in Africa. Journal of Democracy, 18 (3), pp. 131–135. Prempeh, H. Kwasi 2008. Presidents untamed. Journal of Democracy, 5 (3), pp. 473–484. Radelet, Steven 2010. 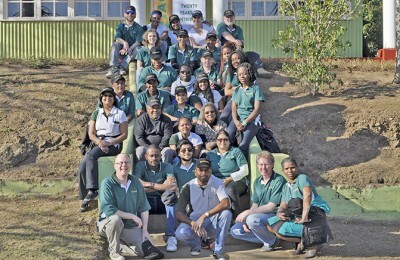 Success stories from ‘Emerging Africa’. Journal of Democracy, 21 (4) pp. 87–101. Russett, Bruce 1993. Grasping the democratic peace. Princeton, Princeton University Press. Scapera, Isaac 1940. The political organisation of the Ngwato of Bechuanaland Protectorate. In: Fortes, M. and E.E. Evans-Pritchard eds. African political systems. London, Oxford University Press. Shugart, Matthew Soberg and John M. Carey 1992. Presidents and assemblies: Constitutional design and electoral dynamics. Cambridge, Cambridge University Press. Skaperdas, Stergios 2008. An economic approach to analyzing civil wars. Economics of Governance, 9 (1), pp. 25–44. Steele, Murray 2005a. Central African Republic: Nationalism, independence. In: Shillington, Kevin ed. Encyclopaedia of African history. London, Routledge. pp. 235–236. Steele, Murray 2005b. Central African Republic: 1980s and 1990s. In: Shillington, Kevin ed. Encyclopaedia of African history. London, Routledge. pp. 236–237. Straus, Scott 2012. Wars do end! Changing patterns of political violence in sub-Saharan Africa. African Affairs, 111 (443), pp. 179–201. Toungara, Jeanne Maddox 2001. Ethnicity and political crisis in Côte d’Ivoire. Journal of Democracy, 12 (3), pp. 63–72. US Department of State 1994. Central African Republic human rights practices 1993. Available from: <http://dosfan.lib.uic.edu/ERC/democracy/1993_hrp_report/93hrp_report_africa/CentralAfricanRepublic.html> [Accessed June 2014]. Walter, Barbara 1999. Designing transitions from civil war – demobilization, democratization, and commitments to peace. International Security, 24 (1), pp. 127–155. Weingast, Barry R. 1995. The economic role of political institutions: Market-preserving federalism and economic development. Journal of Law, Economics, and Organization, 11 (1), pp. 1–31. Weingast, Barry R. 2005. The constitutional dilemma of economic liberty. Journal of Economic Perspectives, 19 (3), pp. 89–108. Weinstein, Jeremy M. 2001. 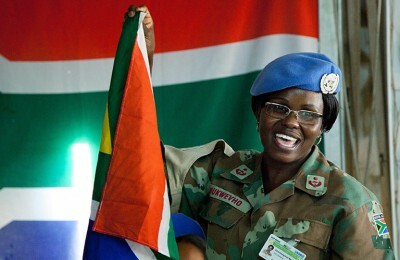 Mozambique: A fading U.N. success story. Journal of Democracy, 13, pp.141–156. The rarity of wars between democracies suggests that the notion that democracy promotes peace also holds for wars between states – the so-called democratic peace theory (see, for example, Russett 1993; Nzelibe and Yoo 2006:2528–2530). The Polity IV Project (Marshall and Jagger 2002), which is undertaken under the auspices of the Center for Systemic Peace, provides annual scores for the structural characteristics of political regimes, institutional changes, and the direction of changes in the underlying dimensions of democracy, autocracy, and degrees of concentration of power. For more information and access to the data, consult <http://www.systemicpeace.org/polity/polity4.htm>. 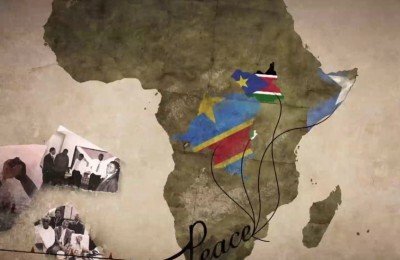 Uganda, Ethiopia and Somalia experienced conflict in every decade from independence to 2000 (cf. Gleditsch et al. 2002). For a trenchant critique of the treatment of the San and other aspects of democracy in Botswana, see Good 1993, 1996 and 1999.